At BMW of Brooklyn we always have a large selection of Pre-Owned BMW X5 for sale. 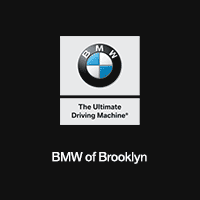 As your BMW dealer in Brooklyn NY, we serve customers from Brooklyn, Staten Island, Long Island and all over the greater New York City Area. We guarantee that you will always get the best price on any Pre-Owned BMW X5 for sale in our inventory. Whether you’re looking for a Used 2015 BMW X5, a Used 2016 BMW X5 or Used 2017 BMW X5, stop in to BMW of Brooklyn today for the best price on any Used BMW X5 for sale in our inventory.